Mr. Abbott & Mr. Modi, DO NOT PLAY NUCLEAR BALL WITH OUR FUTURE! 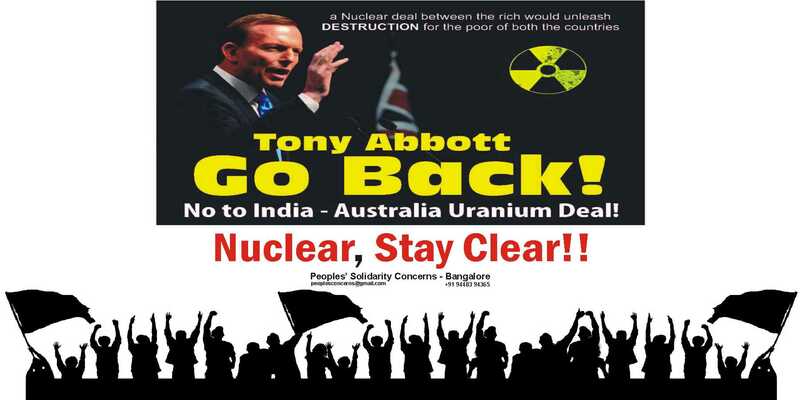 The Australian Prime Minister Tony Abbott would be visiting Delhi this week to clinch the uranium supply agreement with India. This deal is utterly unacceptable as it would fuel an anachronistic, anti-people and unsafe nuclear expansion in India. besides, the deal would unleash misery on the most vulnerable people on both the sides. 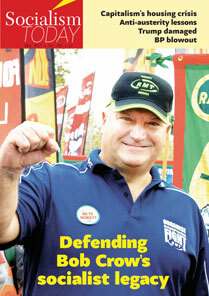 The uranium mining in Australia is known to be racist, leaving the aboriginal communities helpless and victimised. After reaching the Indian shores, the uranium will cause contamination to the poor Indian people from the transport routes to the reactor sites. India has an extremely poor record of safety and its own mines and power plants have been causing irreversible damage to health and the surrounding environment. The Indian Govt., under the pressure of international nuclear lobby, has envisaged a manifold increase in the nuclear energy output over next few decades and is going ahead with newer plants in ecologically fragile and densely populated areas, where grass roots communities are strongly and non-violently resisting such projects. The government has unleashed brutal repression and terror on the anti-nuclear people’s movements. 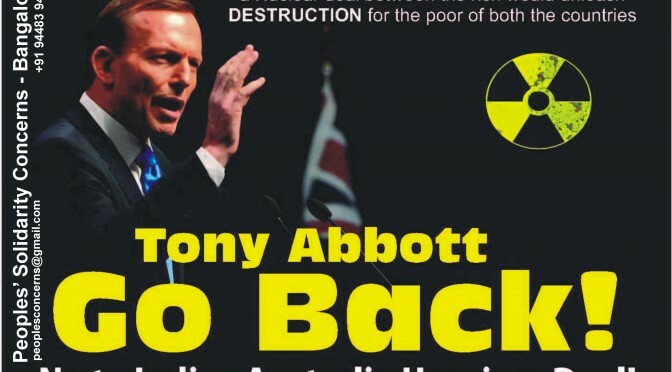 We call upon all of you to observe protest wherever you are on the 4th September against Mr. Tony Abbott’s visit and say a strong NO to the nuclear obsession of the Indian government. Join us in Bangalore@ St. Aloysius Degree College, Cox Town, Bangalore (Grounds) b/w 1:15pm – 1:45pm on 4th September, 2014. For more details, visit the facebook event page. Koodankulam anti-Nuclear Fast – A new awakening! No to Kudankulam Nuclear Plant, if they say it is SEDITIOUS, so be it. Nuclear Energy – A project of descending darkness.